Islands that evoke a beautiful state of mind. 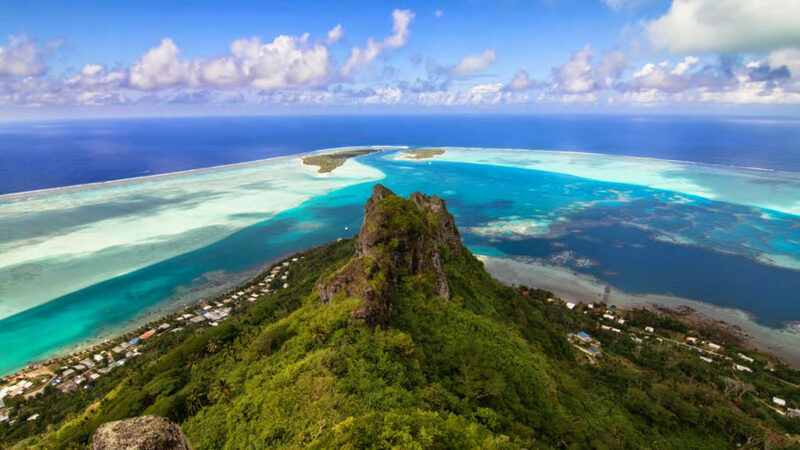 French Polynesia, often referred to as “Tahiti and her Islands”, wears a particular atmosphere blending French sophistication with the local joyful and party-like spirit. The native people combine the XXI century way of life with ancestral rhythms of sun and the sea. At first glimpse, the 118 islands of French Polynesia seem to inspire as little activity as possible – lounging on the beach, taking a dip in warm, turquoise water and napping in an overwater bungalow – but this archetypal island paradise presents plenty of adventures to entice you away from more sedentary pursuits. 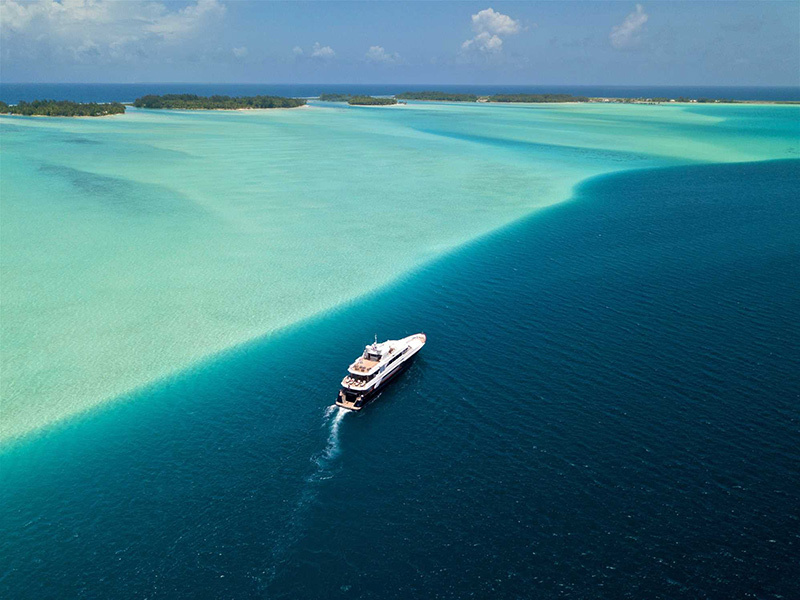 The three most visited archipelagos by charterers are the Society Islands, comprised of Tahiti, Moorea, Bora Bora, Huahine, Raiatea and Taha’a. 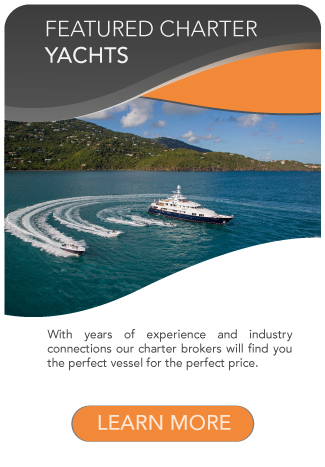 They offer the most comprehensive array of activities, both on land and in the water. Tahiti and her islands are located south of the equator, halfway between California and Australia. The climate is moderate tropical, warm and humid with two distinct seasons. The average temperature is around 27°C. The waters in the lagoon average 26°C in the winter and 29°C in summer. Summer is from November through April, with a warmer and more humid climate. Winter is from May through October, when the climate is slightly cooler and drier. The dry and windy season lasts from March to November, when the temperatures are cooled by the regular southeast trade winds called Mara’amu. April, June and September are very good months, with July and August being the tourist peak months. The rainier months are January and February, with brief heavy rains but still warm temperatures. Because of its exceptional biodiversity, scientists consider the Polynesian seazone to be the “richest aquarium on earth”. 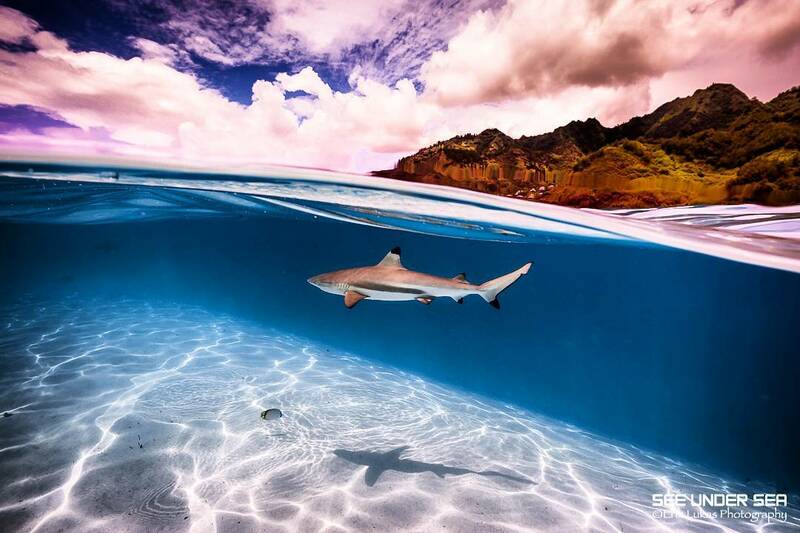 The crystal-clear waters of Tahiti and its islands are home to more than 1,000 species of fish shared between the lagoon, the reef and the ocean. Schools of damselfish, mullet and soldierfish frolic in the coral lace-work as striped convict surgeonfish and frowning Picasso triggerfish pass by. 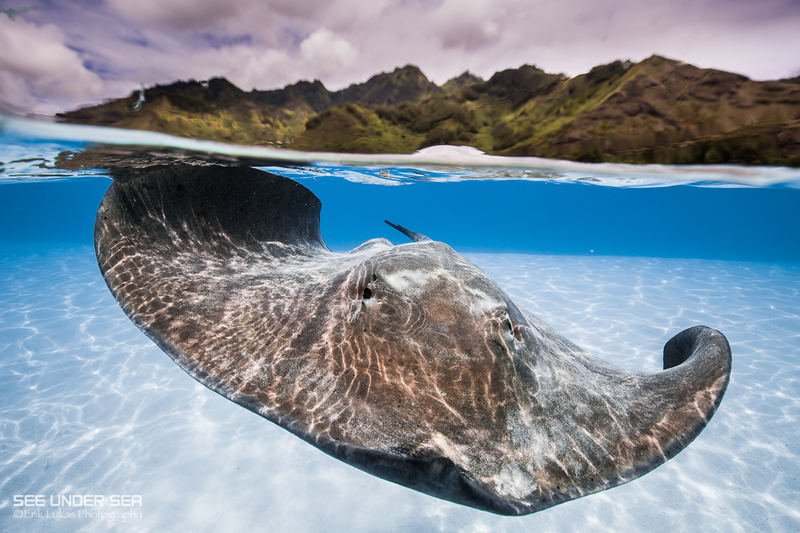 View the Tahiti Scuba Guide here. Tahitians describe their laid-back culture as ‘aita pea pea,’ an expression meaning ‘not to worry’ in English. The bustling Papeete Municipal Market, the vibrant nightlife of Tahiti’s capital, and the young people practicing their hip-hop skills on the street are the noisiest things visitors are likely to encounter during their stay on this tranquil, yet friendly island. The first people to set eyes on Tahiti and French Polynesia’s other isolated islands migrated from Southeast Asia roughly 4,000 years ago. Most of today’s South Pacific residents are descendants of these sailors who navigated the Pacific Ocean’s challenging waters aboard wooden canoes stitched with natural fibers. 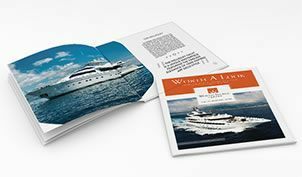 Fly into Papeete to join the yacht anchored in the marina and freshen up. Step on board and let the crew introduce you to your new home for the next seven days, with a welcome greeting by the local dancers. After settling in, you can tour the island and go to the local markets to get a taste of the island life. At most resorts throughout the islands, a Tama’ara’a or Tahitian Feast is held at least once a week. This involves cooking in a ahima’a (an oven that has been dug into the ground). Food is wrapped in banana leaves and the hole is covered with sand making it airtight. Cooking can take up to several hours but is well worth the wait as the food comes out soft, tender and fall off the bone ready. In the morning we head out to Moorea. 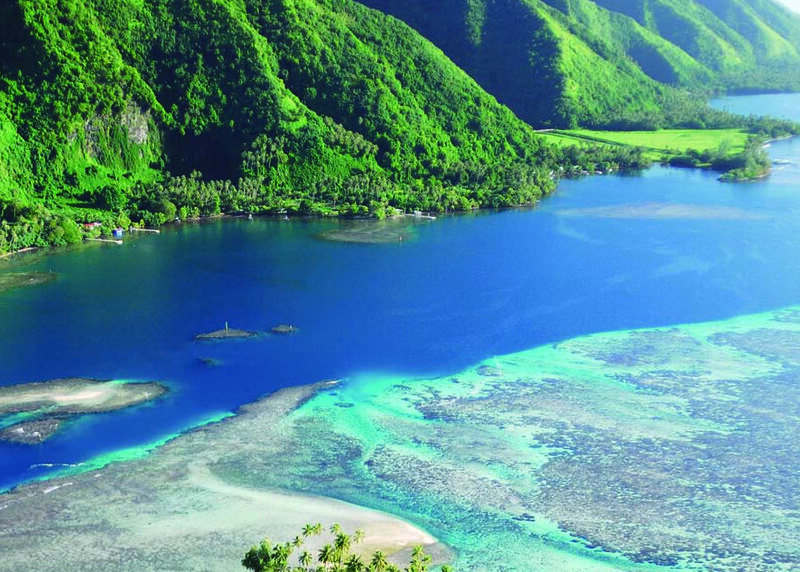 Moorea is one of the most scenically striking islands in French Polynesia. Possessing a relaxed vibe and welcoming spirit, Moorea is just as warm and inviting as the Tahitians lucky enough to call this island home. You can travel by tender to swim and hand feed shark & stingray. This excursion is one of the most thrilling and popular and can be enjoyed on most of the main islands. You`ll be able to get in the water and swim with them or simply watch from the boat. In the afternoon we go ashore and travel by Four Wheel Drive or scooter to explore around the island. 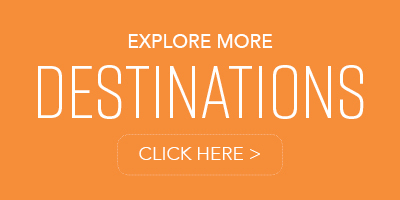 Getting around on a 4WD guided tour is a great way to discover volcanic islands like Moorea. Overnight we travel to Huahine which is 70 nautical miles to the North West. After cruising through the night, we wake up at Huahine for breakfast. The island is equivalent to the Garden of Eden. Beyond its lush landscapes and bright blooms, Huahine is also a culturally preserved sanctuary with sacred temples. The island feels like you are stepping back in time; this is a much different kind of French Polynesian experience. Undoubtedly, this island will leave you spellbound. In the afternoon we have lunch with a Motu Picnic while resting your feet in the clear water and enjoying the delights the islands have to offer. 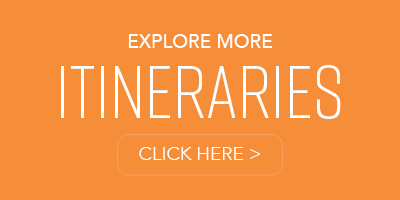 You can tour the ancient Marae (archeological sites). For water activity you can feed the sacred blue-eyed eels of Faie Village. You also have the opportunity to snorkel in coral gardens. We will spend the night anchored off Huahine Island. First thing in the morning we cruise to Raiatea to visit the many pearl farms located inside the lagoon. The world-renowned iridescent luster of Mother Nature’s most perfect gem can only be created in Tahiti warm lagoon waters. 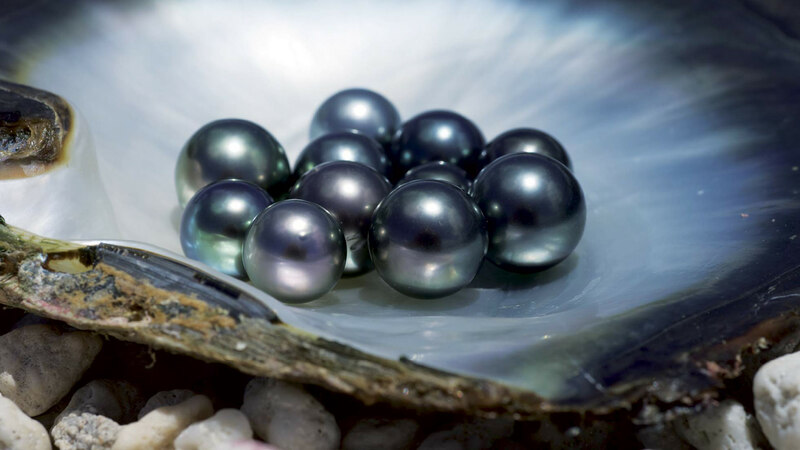 Commonly known around the world as Black Pearls, each Tahitian Cultured Pearl ranges in size and shape and the colours range from the darkest black to shimmering shades of green, blue, bronze, aubergine, or even pink. After an afternoon of exploring, we dig into a delicious meal on board and spend the night on the ocean. We continue our journey to Taha’a which is enclosed to Raiatea by a coral reef. Suitably shaped like a flower, the island is also an immense natural greenhouse for the highly-prized Tahitian vanilla orchid. Thanks to this abundance, the intoxicating scent of vanilla pervades the air in Taha’a, meaning this island is just as sweet as it sounds. Have lunch onboard before heading out for an excursion of the vanilla plantations and the local produce. 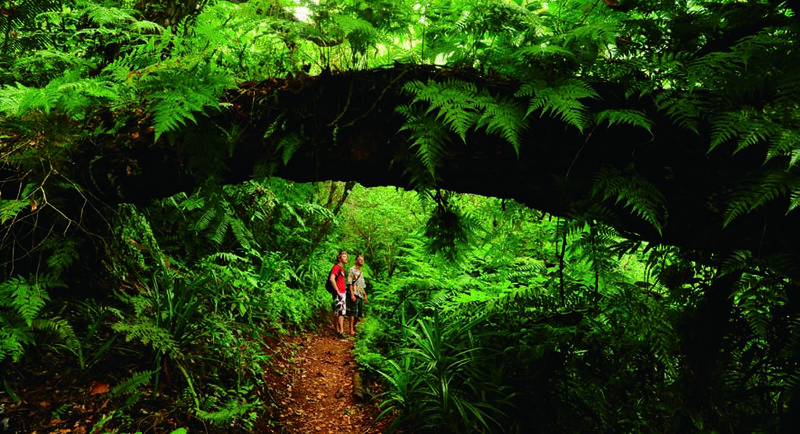 Since the scenery here is especially remarkable, Taha’a is ideal for hiking. You can explore these ascending slopes and deep valleys while discovering the diverse flora and fauna along the way. Snorkeling is also a popular pastime in Taha’a. There is a shallow coral garden between Motu Maharare and Motu Tautau where you can drift snorkel amidst scores of intensely hued tropical fish. 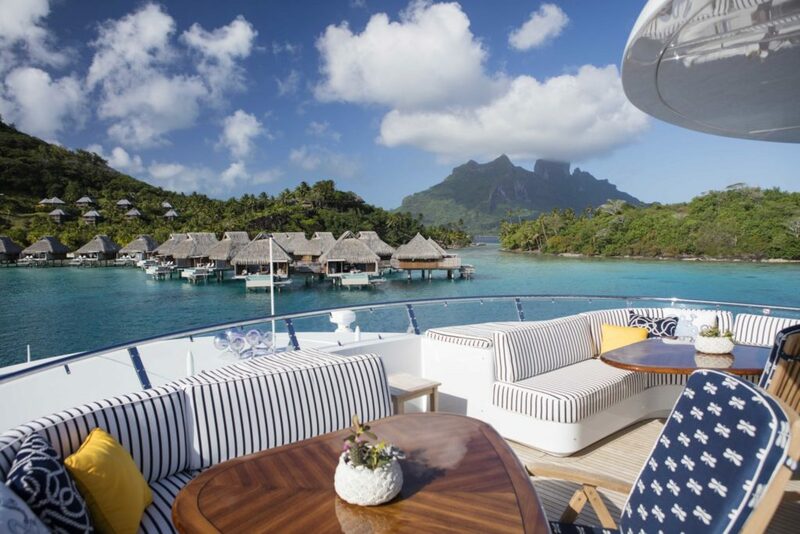 In the morning travel 2 hours to Bora Bora and enjoy an amazing view of the atoll and the villas over the water. 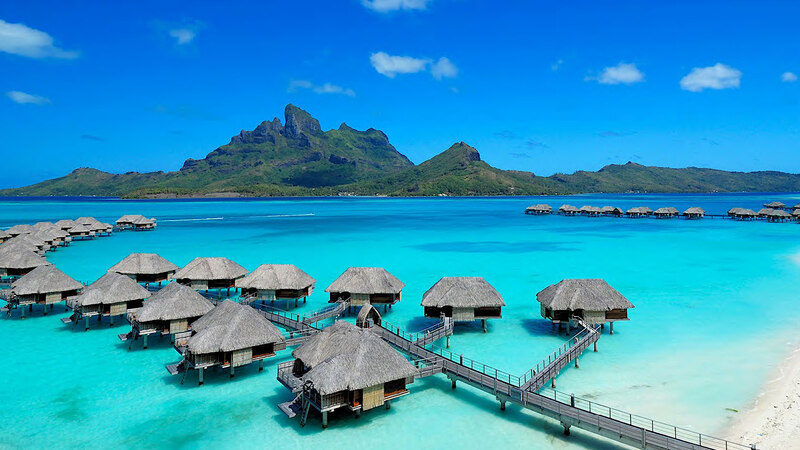 Bora Bora is undoubtedly the most celebrated island in the South Pacific, it is French Polynesia’s leading lady. 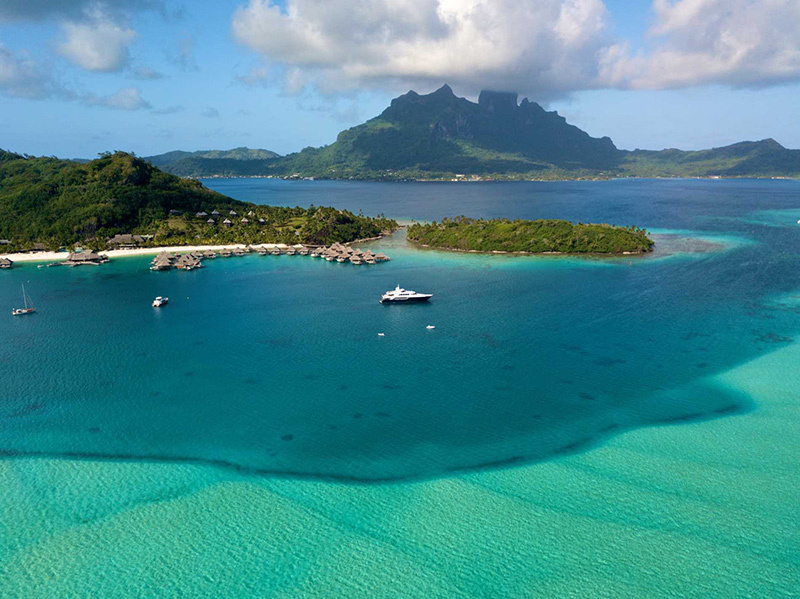 The wonderful thing about Bora Bora is that you can be as active or inactive as you wish to be. 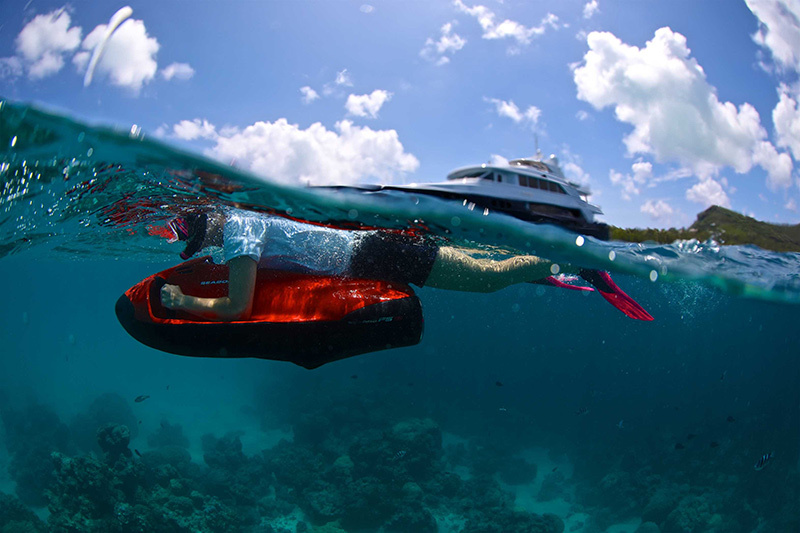 Since water is a way of life on the island, popular lagoon excursions include snorkeling, diving, cruising, fishing, paddle boarding, kitesurfing, jet skiing, and shark and ray feeding. You can also explore in and around the lagoon with a sea bob. After spending the afternoon in the crystal-clear waters, come back on board for sunset cocktails in the jacuzzi. We will enjoy a delicious dinner to recount all of our day adventures around the table. On the last day you say goodbye to the amazing crew onboard and head to the airport for your flight to Papeete, going home with unique memories or continuing your adventure.